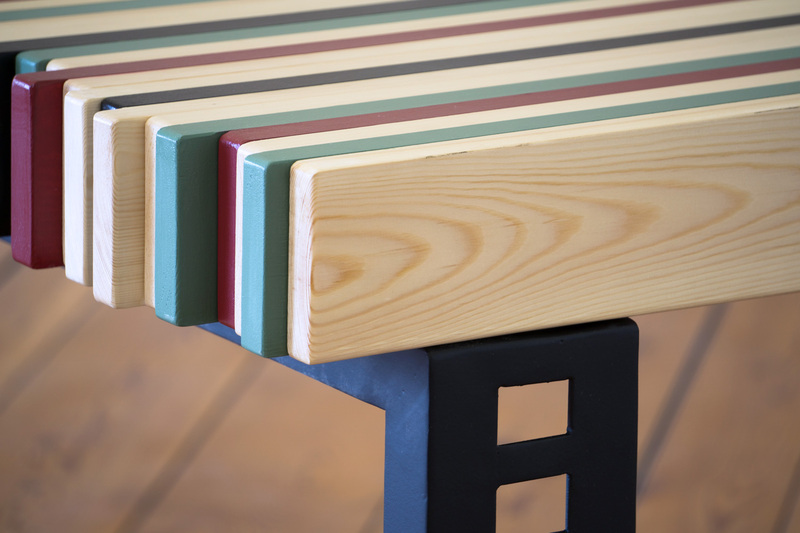 Nireas is a buoyant and exciting table that effortlessly livens up a space, providing its own unique style. 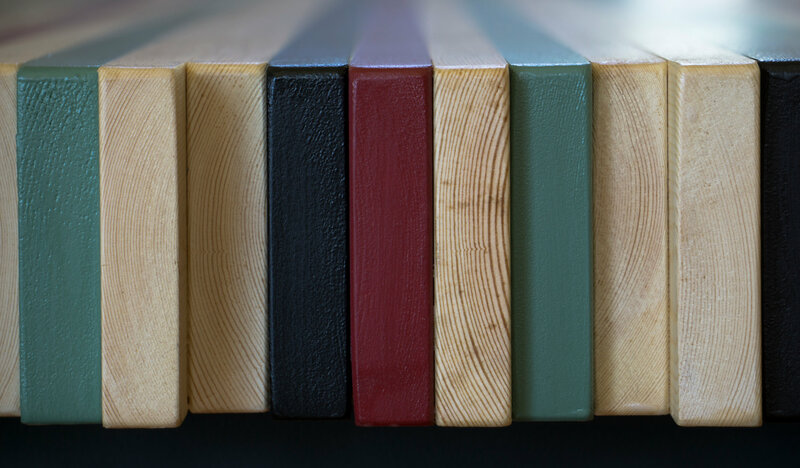 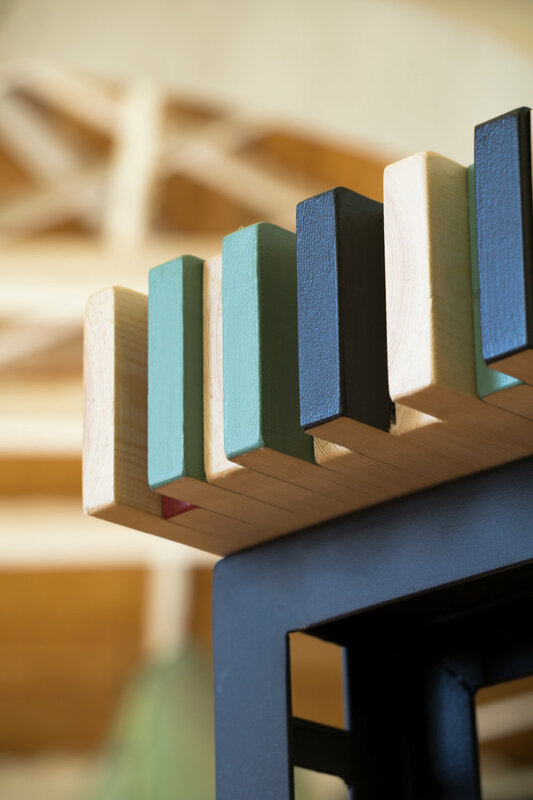 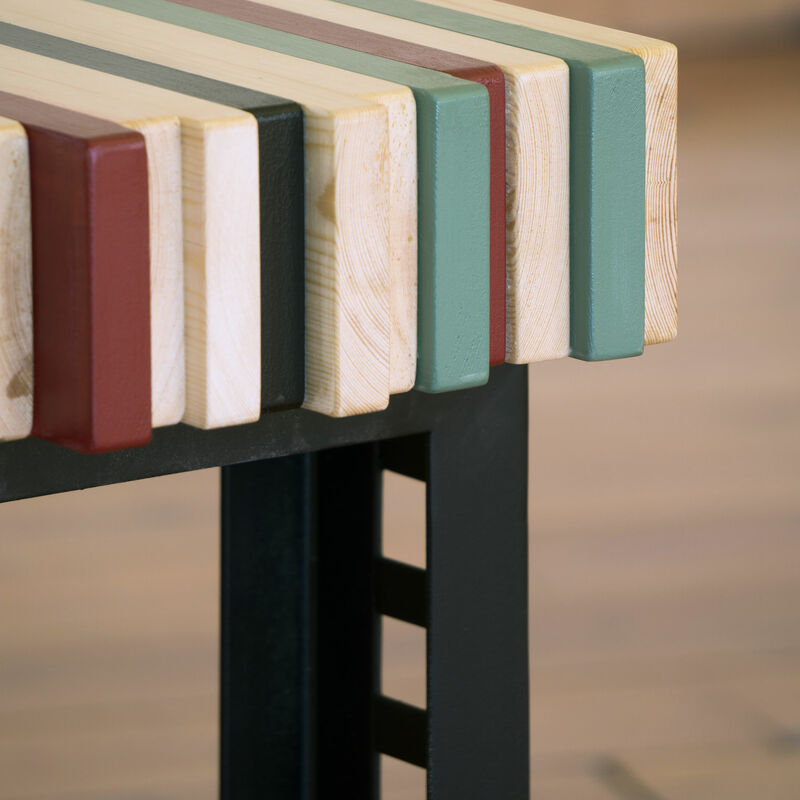 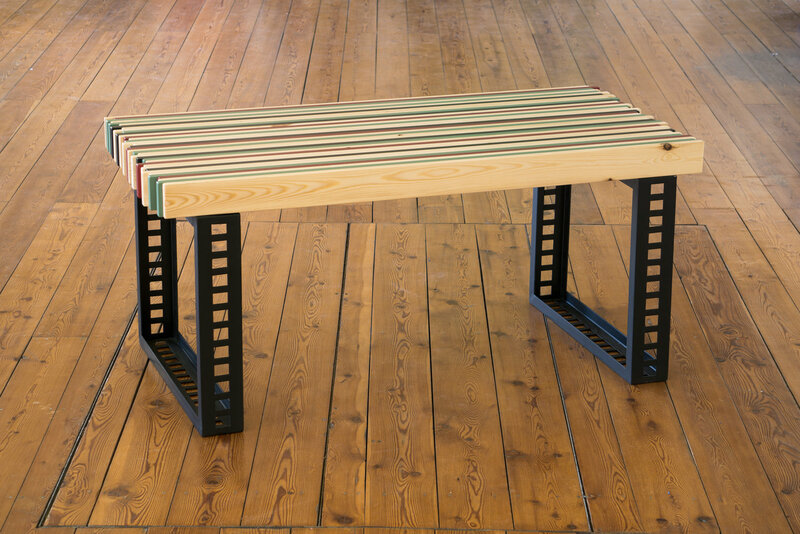 Handmade, with intense colors and lines, it perfectly combines the natural wood colour, with deep red, olive and black. 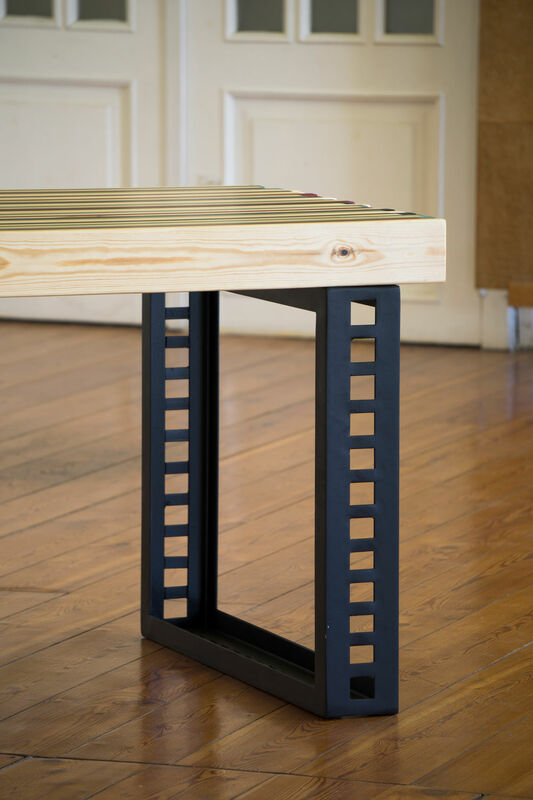 Its handmade iron legs surround and support a series of adjoining wooden planks and, through their elegant square pattern, enrich the overall composition. 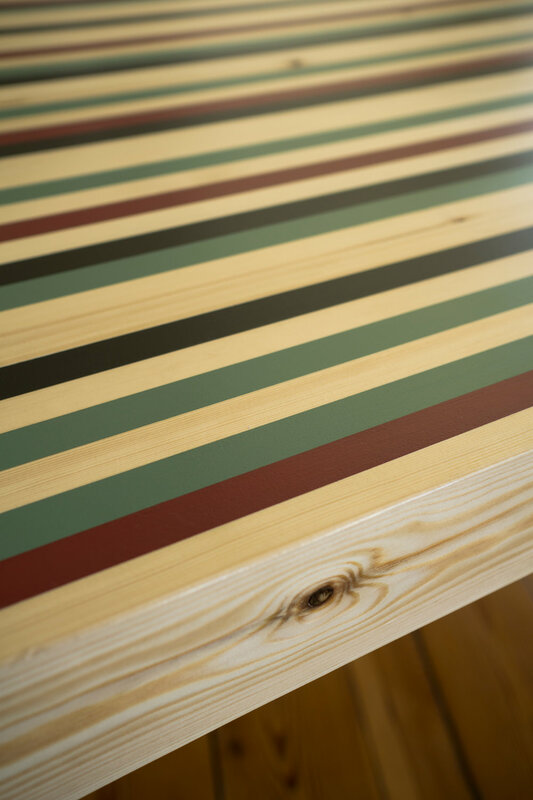 A table of intense character and contrasting looks.